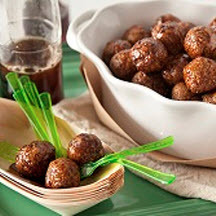 CooksRecipes has quality, kitchen-tested recipes for a variety of meatball appetizers, made with beef, pork, sausage, chicken and turkey, that are perfect for parties and entertaining. 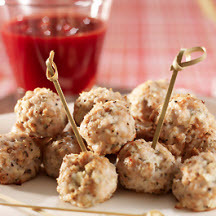 Try this super simple turkey meatball recipe - perfect for serving at your game day party...or any festive gathering. 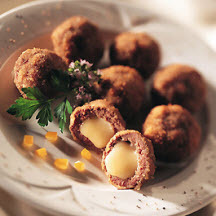 Cubes of creamy gouda cheese are enrobed in seasoned ground buffalo and fried until crispy. Serve hot with a pineapple fruit salsa as an accompaniment.